The picturesque coastal village of Portmagee in County Kerry, Ireland has a unique New Year’s Eve tradition, which dates back to 1727. 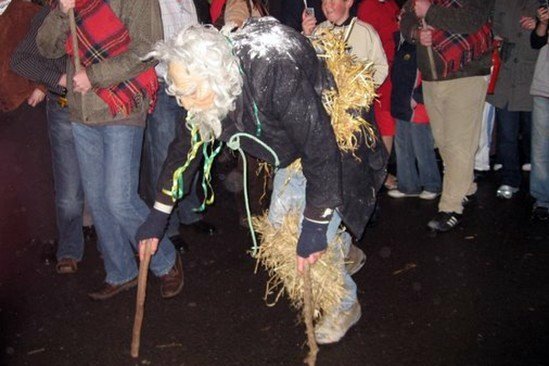 The “Old Year Festival” sees locals accompany an old wizened character up the main street in a torchlight parade. At the stroke of midnight, the ‘Old Year’ character symbolically ‘dies’ and is replaced by a younger, more vigorous version. The new man gives a speech to explain to locals what they have just seen, and he goes on to inform them that the old man had symbolized the year gone by and, come midnight, he was no more. And come midnight of December 31st, your 2014 will also be ‘no more’. Maybe you want to make a speech to all of your crew with your ‘young’ voice and tell them what you should all expect to see as you sail on these seas during 2015. This captain can only wish you good winds… to enjoy each of the 365 days of 2015.